No stylish gentleman's wardrobe should be complete without the Men's Sorel Madson™ Waterproof Chukka Boots. 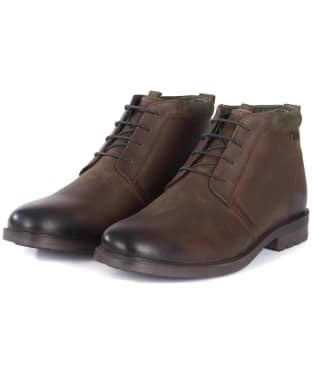 Whether you are commuting into the office, or heading out for a stroll in the country, you can be sure that these boots will keep you comfortable, with the removable moulded EVA footbed helping you to walk further for longer. 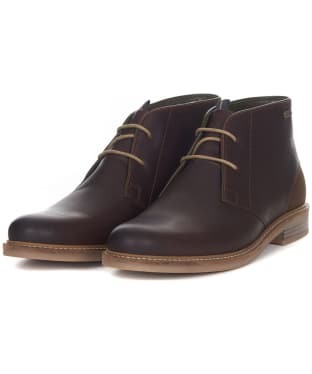 Boasting a fully waterproof outer with a seam-sealed construction, the Madson boots will keep your feet dry and protected on those rainy days, making them a great choice for everyday wear. 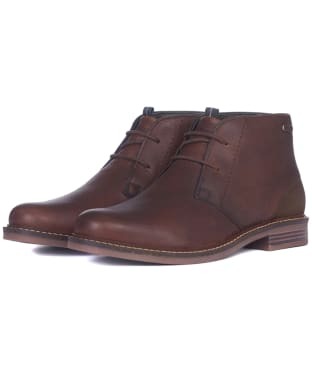 We know that you will love the premium feel of these Chukka boots, crafted from a full grain leather upper for added durability to ensure that they last you season after season. 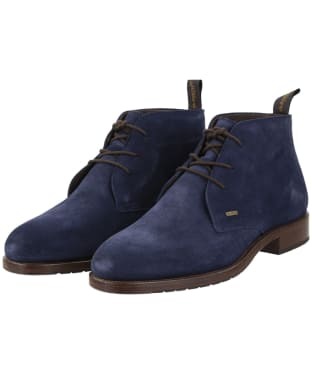 Timeless and practical, these on-trend boots fasten up with laces for a classic look, and are finished with signature Sorel branding for that added mark of quality. 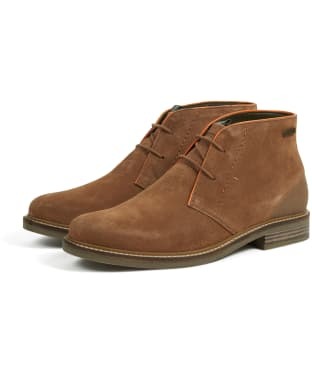 A classic style that no stylish man should be without, the Cheaney Jackie III Chukka Boots are hand crafted in England for a premium finish. Fully leather lined with a full leather insole, these traditional chukka boots feature a Goodyear welted Dainite rubber sole and heel for added durability. 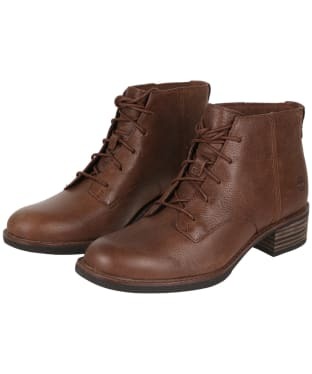 A pull tab to the back of the boot ensures you can easily pull the boot on without damaging the back of the boot, while you can easily adjust the boots with the laces to the front. 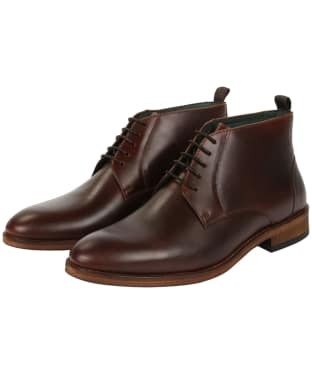 Impeccable top stitching adds to the overall elegance and style of the boots, while the neat round toe offers a timeless finish. 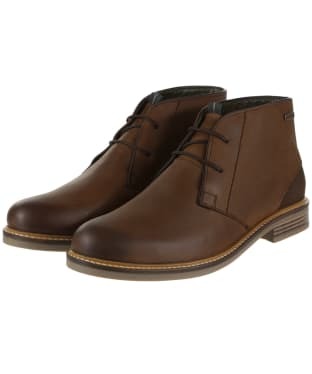 The Men's Dubarry Waterville Leather Boots combines technology with style to offer you a boot which won't let you down! 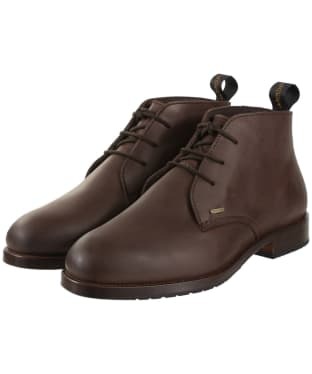 The Waterville has been crafted from Durbarry's DryFast-DrySoft™ leather, finished with the GORE-TEX® membrane to offer you a waterproof and breathable boot you are sure to love! 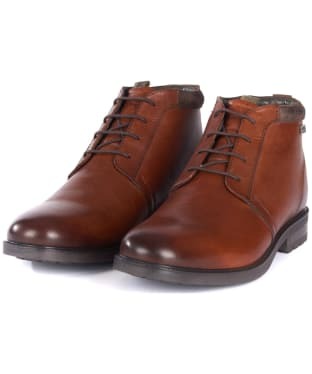 This classic design has been combined with technology to make sure every step you take is done in comfort, a versatile leather boot which is ideal for outdoor country wear or your smart casual occasions. The insole is made up of three layers including a thermal foil lining, to protect the foot from the cold, ideal as the colder days arrive this season! 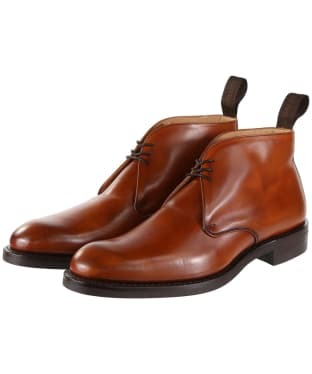 The hand built sole unit is made from a combination of rubber and leather-welt with leather stacked heel and rubber outsole. 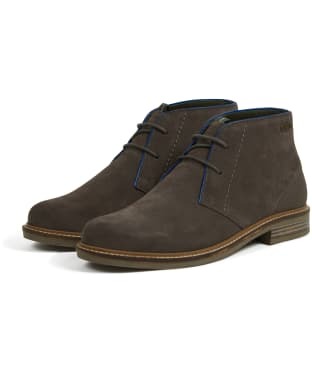 For an added touch of comfort there is the additional underfoot cushion filler is built in between the lining and outsole providing underfoot comfort. The Waterville has been finished with a three-eye tie with wax fabric laces, and Dubarry branding to added a touch of style to these practical boots. For more information on how to properly care for your Dubarry boots, please refer to our Dubarry leather boot care guide. 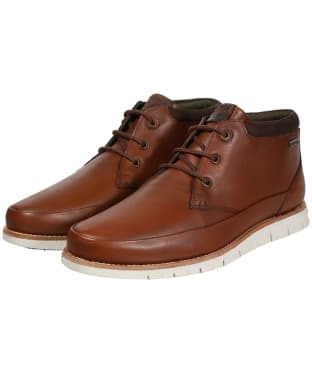 Crafted from premium leather, the Men's Timberland Bradstreet Chukka Boots offer you style and comfort and sure to be a wardrobe favourite all year round. 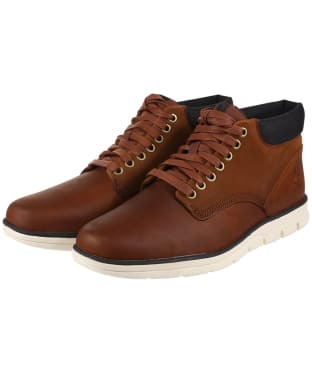 Featuring Timberlands SensorFlex™ technology the boots deliver you the upmost comfort, boasting a three-layer design that provides active cushioning and constant support making these suitable for all day wear. 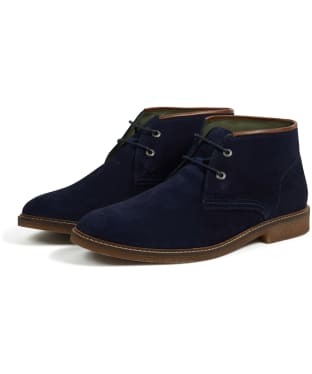 A padded collar has also been added, giving you that extra bit of padding around the ankle. To keep feet cool and absorb shock, the boots also feature lightweight Ortholite® foam insoles. This ultra-breathable material provides moisture management protection and allows you to stay cool and comfortable all day long. 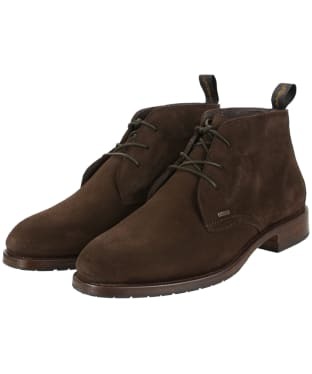 The final stamp of style and quality comes from the iconic Timberland logo, which has been neatly embossed to the heel. 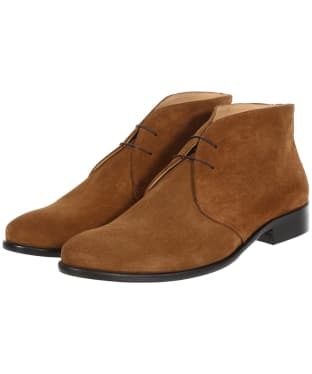 Pair these boots with your favourite jeans or chinos to complete your casual out of office look with ease season after season. 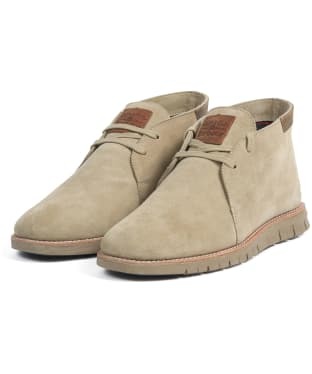 The Men's Timberland Larchmont Waterproof Chukka Boots have been made from premium waterproof leather from an LWG Silver-rated tannery, offering a luxury and comfortable feel whether out on a walk or in the town with friends. Boasting seam-sealed construction, these boots are built to last and the waterproof technology means your feet will stay dry and comfortable when the wet weather arrives. 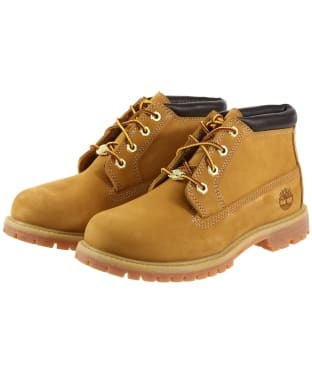 The boots also feature Timberlands registered Ortholite® footbed which provides comfort in every step and reduces any feelings of fatigue, allowing you to walk and explore further, for longer. The outsole has also been made from Gripstick™ rubber, which uses technology to push water in all directions, maximising surface contact and enhancing grip on any terrain. 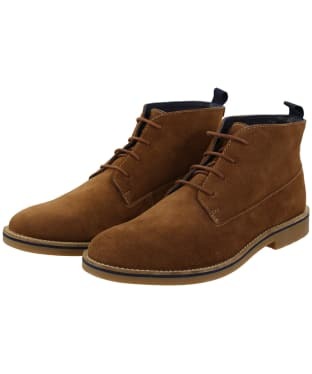 Finished off smartly with the Timberland branding and a lace up design, these boots have that iconic look we think you will love and will carry you through the seasons with stylish and practical ease. 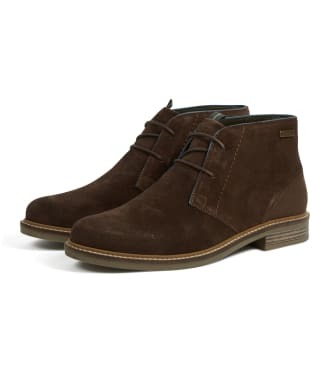 With the upper made from premium leather from an LWG Silver-rated tannery, the Men's Timberland Cross Mark Plain Toe Chukka Boots are a stylish and practical boot for the active gentlemen. 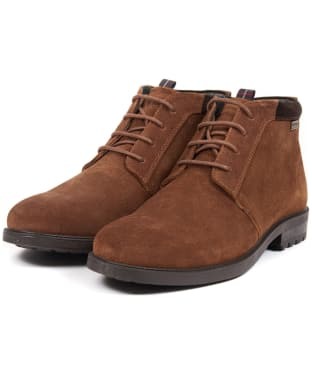 Whether walking in the countryside or around the town, these boots feature an Ortholite® footbed which provides comfort in every step and reduces feelings of fatigue, allowing you to walk further and for longer. 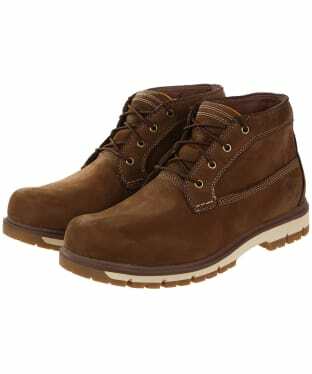 Also powered by Timberlands Aerocore™ energy system, the boots are lightweight without compromising on cushioning. 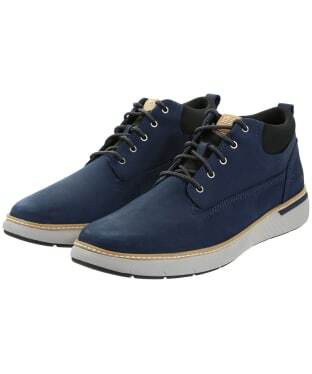 The outsole design features lightweight polyurethane foam and the midsole is covered with ground contact rubber to offer a high-rebound cushioning and a durable feel, protecting your feet when out and about. 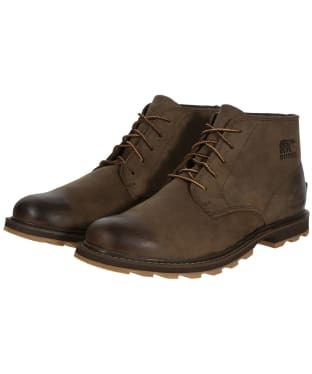 These lace up boots are super stylish and will help you enjoy those long country walks in the upmost comfort, they are finished smartly with the iconic Timberland tree branding for that final stamp of quality and authenticity. 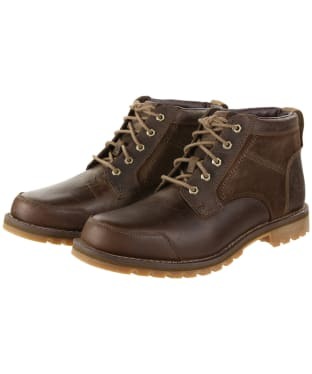 The original Timberland boot was made to be a reliable and durable workhorse. 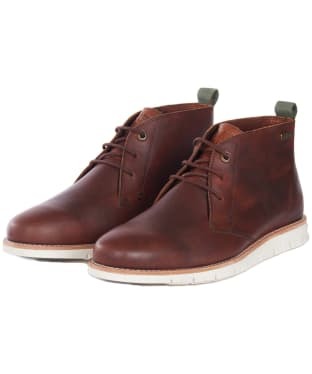 Today, The Women's Timberland Earthkeepers Nellie Waterproof Chukka Boots use the same principles, and they do not disappoint. 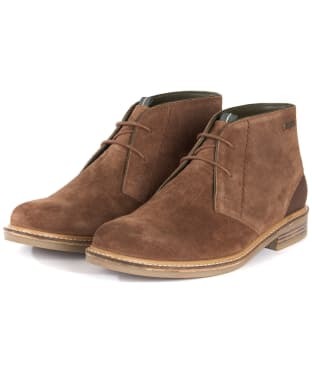 Designed as a low-slung version of their iconic 6-Inch yellow boot, the Nellie Chukka Boots are every bit as hard-working as their older sibling. 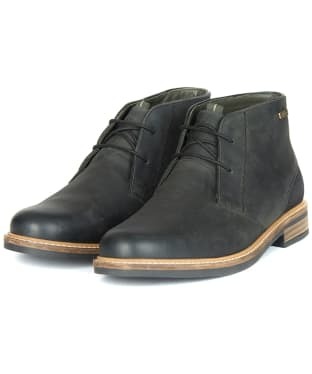 Constructed from premium full-grain waterproof leather with its tongue sealed at the seams, industrial-styled eyelets and of course the patented leather padded collar, the Nellie Chukka Boots - aside from looking fantastic - will serve you well amidst all of life's ups and downs, whether you're hiking over mountains or just through your flower beds. 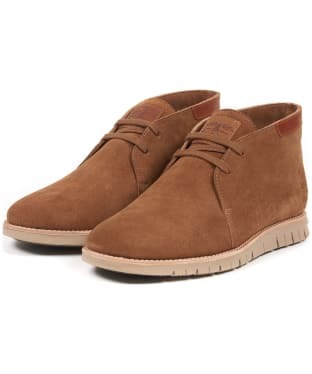 And just like the classic Timberland boot, the Nellie Chukkas are fitted with Timberland's flawless anti-fatigue system, keeping your feet happy and comfortable all day, whatever terrain you take them through. 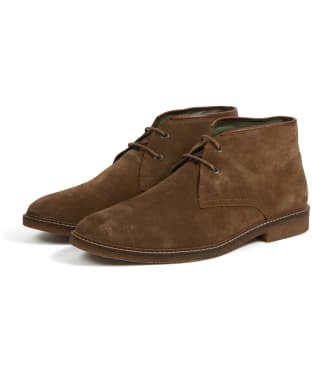 Truly a boot that will always be fit for purpose, and never go out of style. 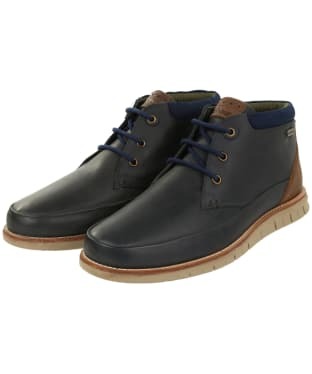 The Men's Timberland Radford Waterproof Chukka Boots are perfect for tackling those rainy days in style. 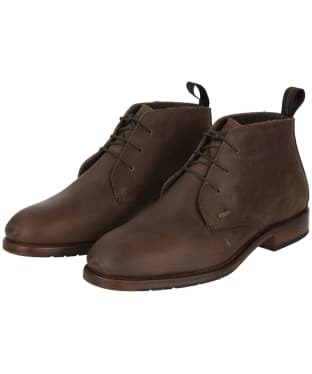 Crafted from premium leather, you are sure to love the quality, durable feel of the boots, which feature a seam-sealed construction for added protection against the elements. 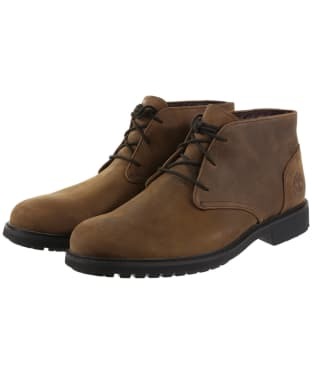 Designed with a combination of SensorFlex™ technology and an EVA footbed, you can be sure that your feet will be comfortable, cushioned and supported by the boots, with the flexible sole ensuring that your feet won't be fatigued even during those long walks in the country. 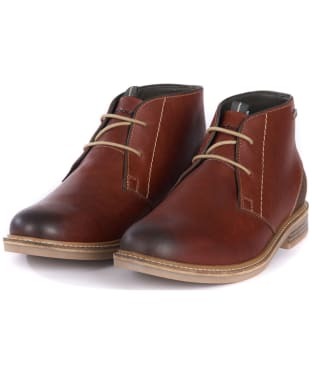 The padded collar adds a touch of wearability and comfort, with the 100% PET hard wearing laces finishing the timeless Chukka Boots off in style. 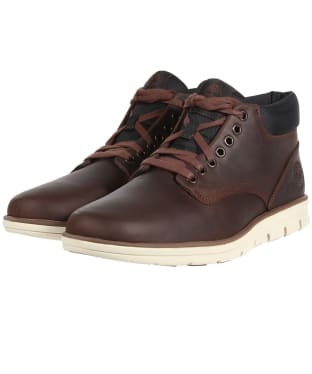 Team the Radford Boots with your favourite Timberland jeans and shirt for a fashion forward, casual look. 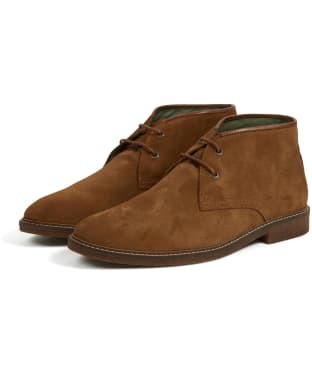 Add a touch of style to those casual days this season and beyond with the Men's Timberland Larchmont Chukka Boots, perfect for teaming with both jeans and chinos to complete your look with stylish ease. 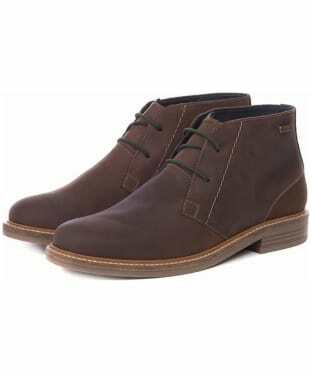 These boots have been crafted from premium leather to offer you an added touch of style and durability. The OrthoLite® footbed gives you comfort foam insoles which provide you with breathability, moisture transport and long-term cushioning, perfect for those days on the move. Timberland's patented L7 Traction Lug is ideal for offering you improved traction performance on a variety of surfaces for a confident and secure footing. 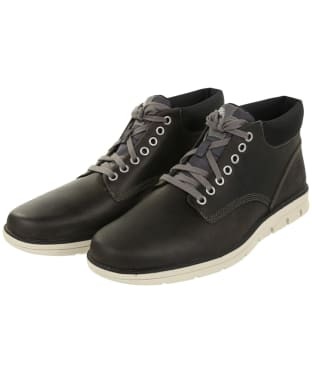 A classic blend of the traditional and the contemporary, the women's Timberland Beckwith Lace Up Chukka Boots are stylish and practical. 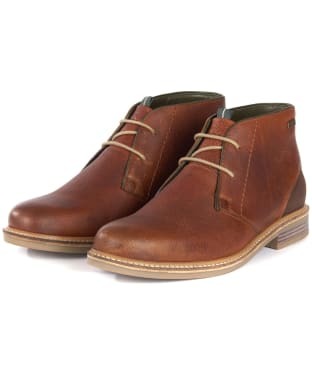 A premium full-grain leather upper allows the feet to breath and provides a soft, comfortable wear all day long. 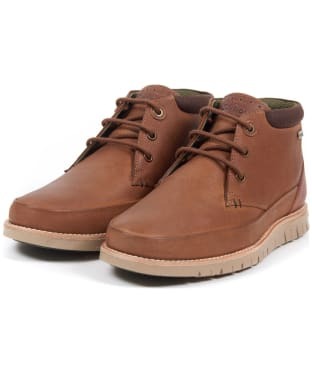 A traditional lace-up front brings a sartorial edge to these chukkas, whilst an exclusive Timberland Gripstick technology ensures that you can tackle any terrain without a worry. 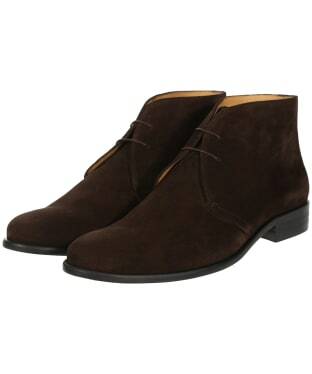 A leather-wrapped heel adds a feminine touch to these urbanite shoes, perfect with skirts, dresses and jeans.